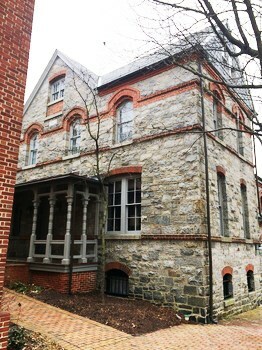 Douglass's attempted escape in April 1836 ended here. The building you see was built in 1878 and replaced the county jail. Douglass was left for a week in jail and then retrieved by Thomas Auld who, rather than sell Douglass South, sent him back to his brother in Fells Point. On Maryland's Frederick Douglass Driving Tour.